In itself a legend. 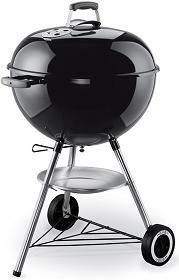 Grill One-Touch ® Original - the traditional silhouette Weber ®. Model is convenient and safe handling due to the extended handles, as well as a thermal shield on the lid. Has a built-in lid thermometer, patented cleaning the bottom of the boiler Grill One-Touch ®. Stable wheelbase. 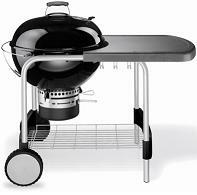 A large barbecue grill provides even more space for preparing grilled food. Grill is available in the following colors: lime, cream, brick-red and gray. Portable grill Smokey Joe ® Premium is perfect for picnics anywhere outside of your site, for example, on the beach or in the park. Convenient to transport, compact, light weight. Clamp-lock securely holds the lid while traveling. Also available in the following colors: cream, lime, brick-red and gray. Charcoal Grill Go-Anywhere ™ - the perfect solution for visiting parties. 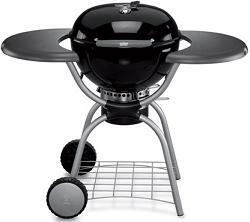 Storage and transportation of the grill without difficulty: the model is equipped with folding legs that lock up the grill during transportation. The surface of the Go-Anywhere ™ protects a special heat-resistant porcelain enamel. 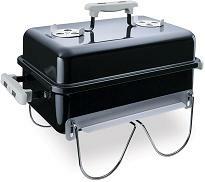 Unlike traditional portable barbecues or zharoven, charcoal grill Go-Anywhere ™ is equipped with a lid. This helps to fry, bake, smoke. And finally, prepare the perfect steak! 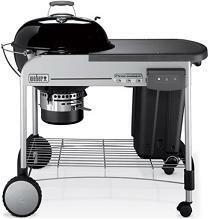 Grill One-Touch ® Pro Classic - a real grill station on wheels. In fact - it's One-Touch ® Premium, delivered to the universal table-cart. Because of this, in addition to the built-in lid thermometer, ash collector and patented One-Touch ®, you get a great work surface in preparation for cooking. 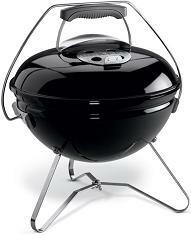 Grill One-Touch ® Deluxe captivates her appearance. 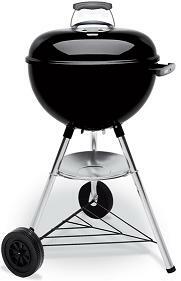 This charcoal grill is a real working tool for someone who is going to cook a lot, tasty and fun, as expected Grill Weber ®. Two comfortable working surface on either side grill, all the functions inherent in the line of One-Touch ® Premium, and a system of quick release cover - that's something that you can call our grill Deluxe. Performer ® Touch-N-Go ™ - the flagship of charcoal grills Weber ®, which has absolutely all functions necessary for maximum comfort of use. This large area of ​​cooking, a convenient table, a container for storage of coal or accessories. In addition, the system Touch-N-Go ™ will ignite coal by pressing a single button. Smokey Mountain Cooker TM - a two-tier smokehouse perfect shape. The flap at the bottom of the pop-smoker allows fuel and supply of smoking chips as much as you want, and ventilation system - set up exactly the mode of air that you need. This dream is for the connoisseur! Comfort and joy of spending time outdoors in the style of Weber ®. 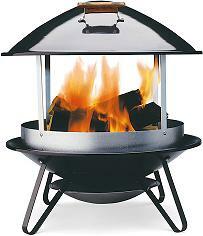 Mobile fireplace Weber ® - is the creation of a comfortable temperature in your area on the barbecue or patio! Cover and the middle part of the fire shot separately, so that the boiler is covered with a lid you can easily extinguish the fire. Convenient, is not it? Inexpensive basic model. 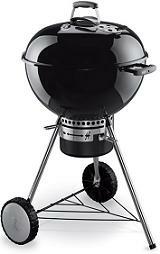 Coal Grill Bar-B-Kettle ®, available in two diameters: 47 cm and 57 cm, and has all the typical characteristics of grills Weber ®: high quality materials, safety and comfort in use. It is excellent for cooking as a direct method (up to 30 minutes on direct heat) and indirect (bake 30 minutes). 100% satisfaction from the grill is guaranteed!